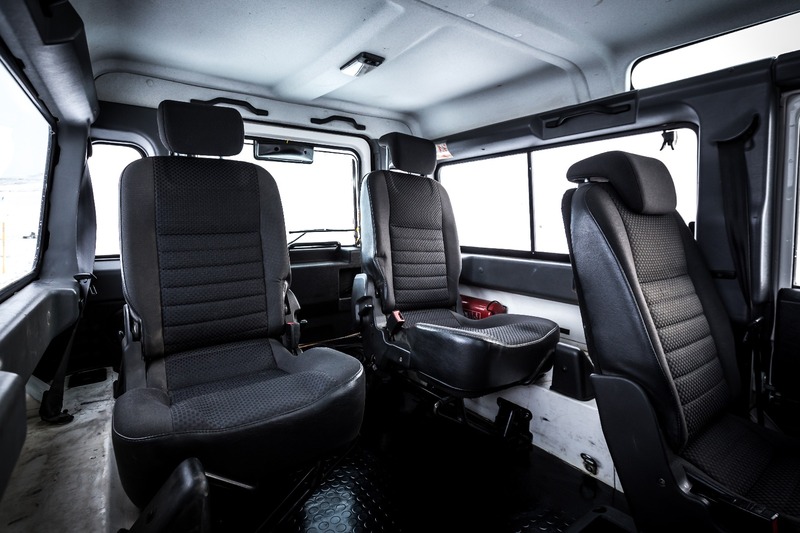 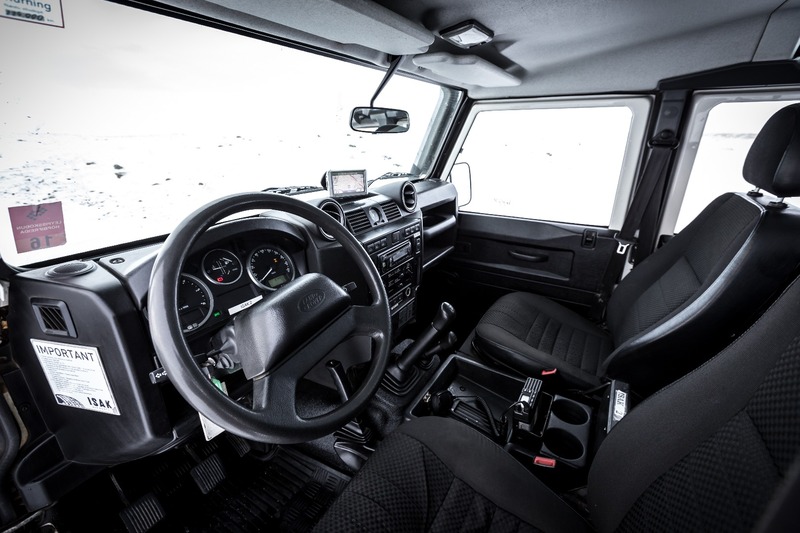 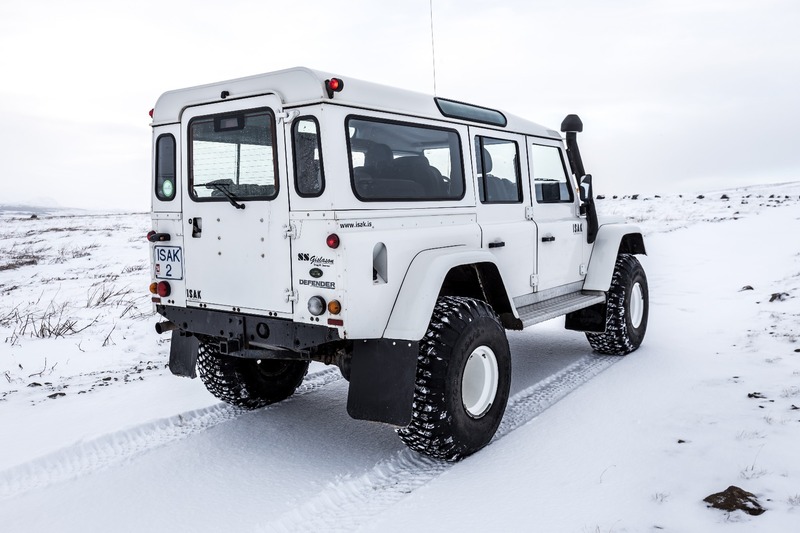 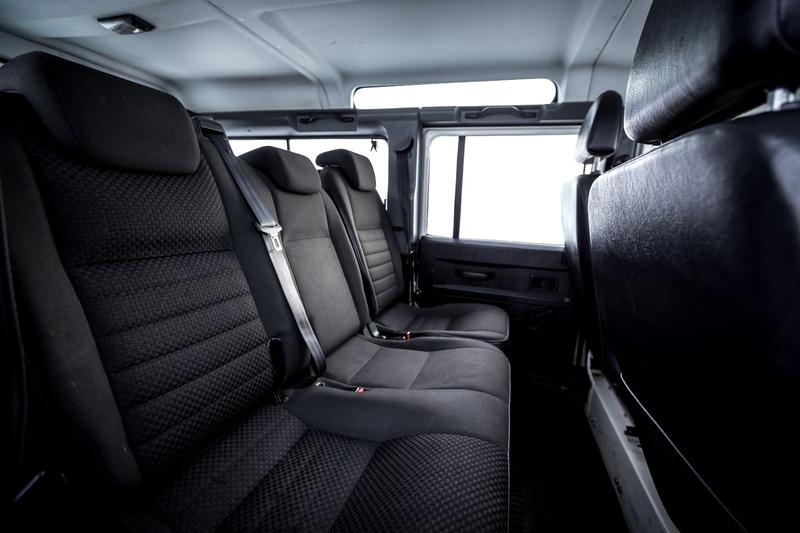 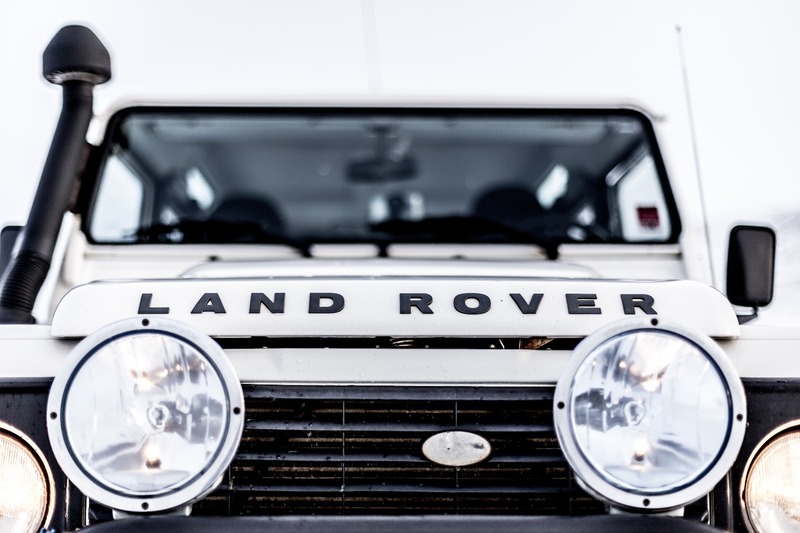 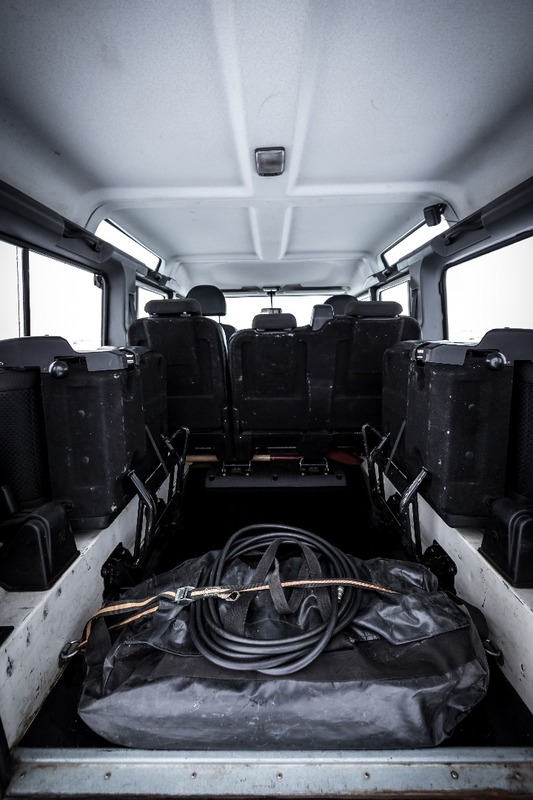 The Land Rover Super Defender is built for especially for Icelandic conditions. 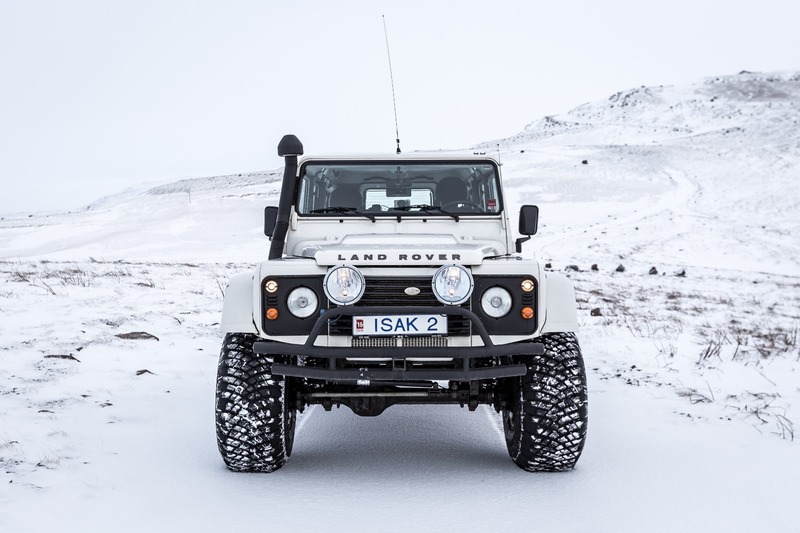 With 37" tires, the Land Rover Super Defender is an unstoppable 4x4 machine that can traverse any kind of terrain. 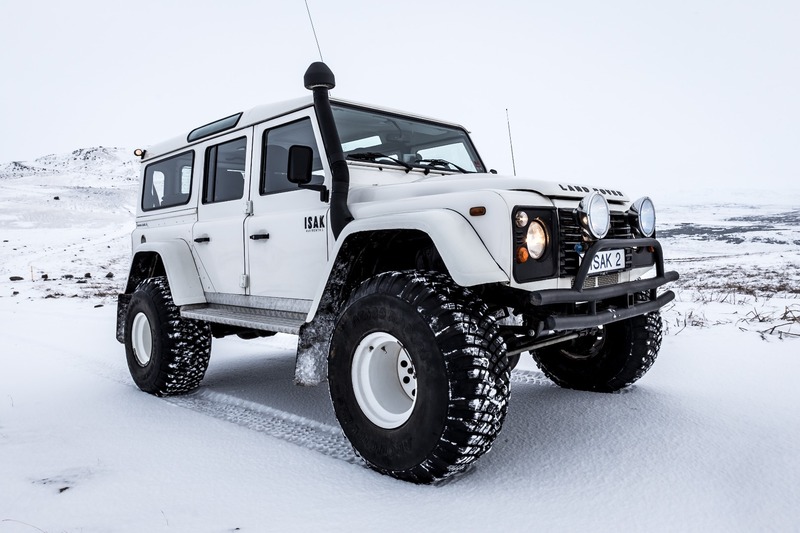 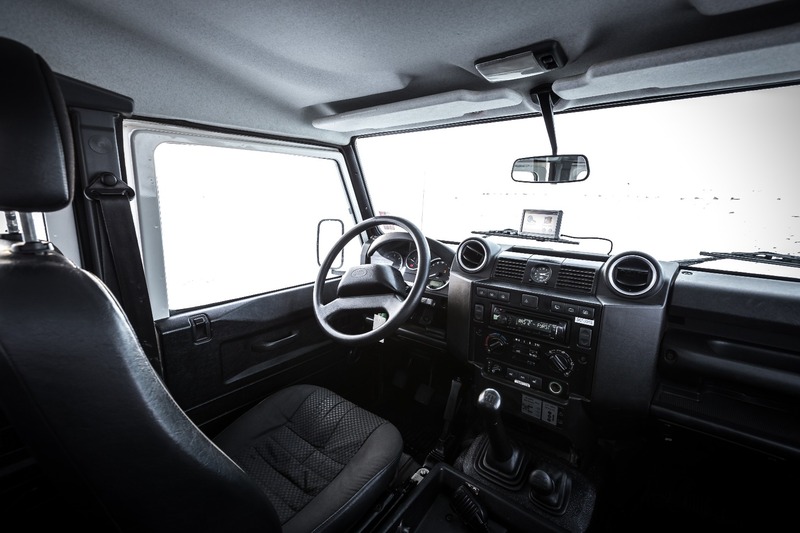 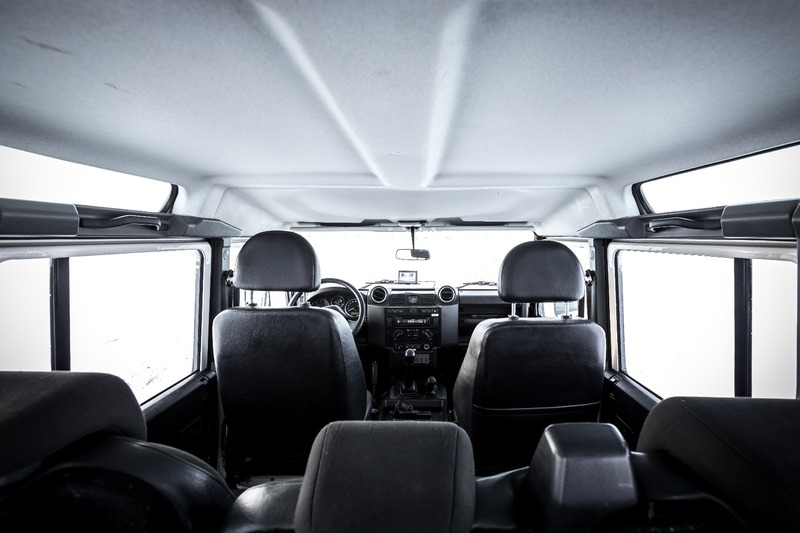 The large tires, on-board air compressor, auxiliary headlamps, along with the snorkel and the inbuilt VHF radio, allow this vehicle to be driven in otherwise impassable conditions. 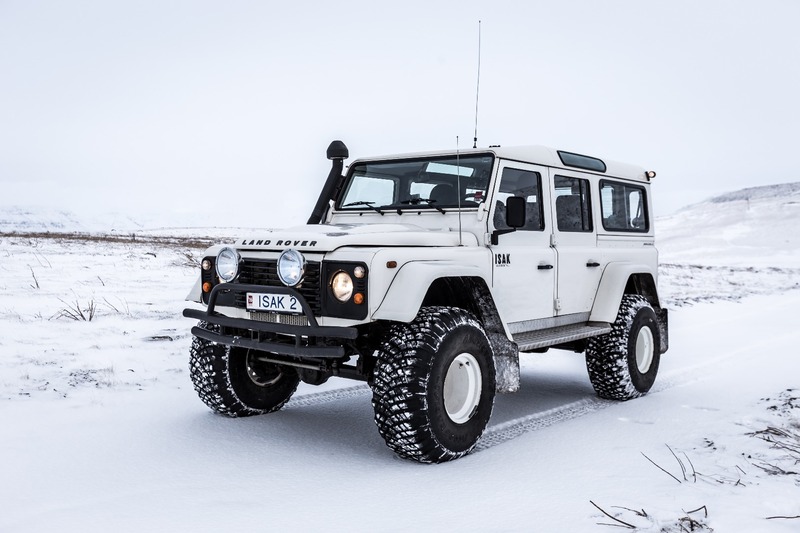 By deflating the tires, the Land Rover Super Defender has more grip and flotation, which enables this vehicle to be driven on top of deep snow. 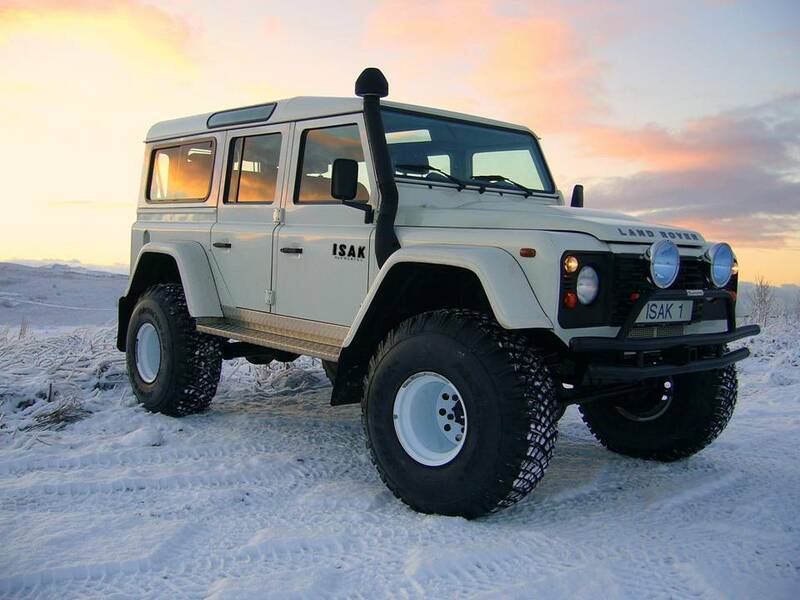 The modification to big tires adds stability, as the width of the vehicle increases more than the height from the road, thus making the center of gravity proportionately lower than that of the original vehicle. 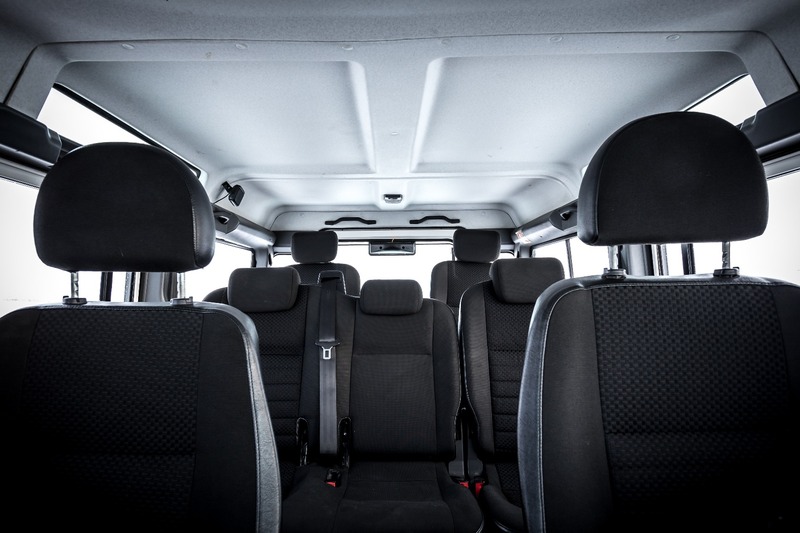 Our cars have 7 seats with a seating arrangement of 2+3+2. 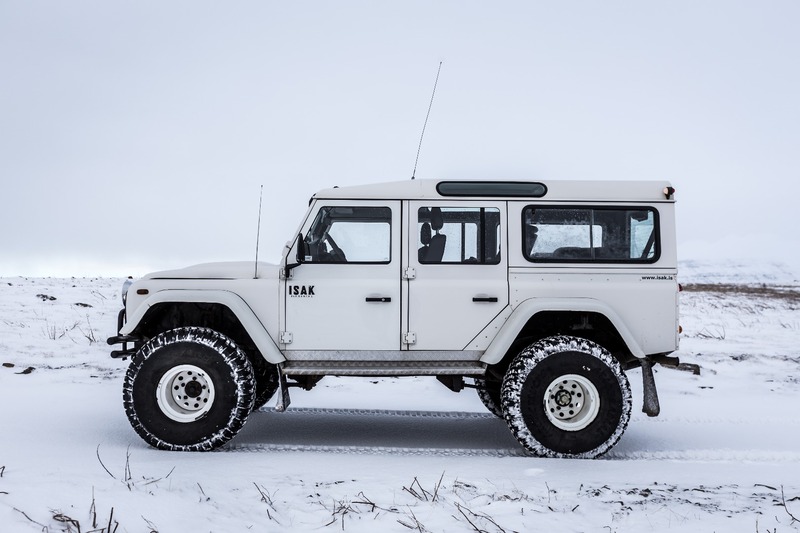 Roof racks, modified trailers with 35" tires, jerry cans and other accessories, can easily be added to your order, allowing you to carry more equipment and reach further on your journey. 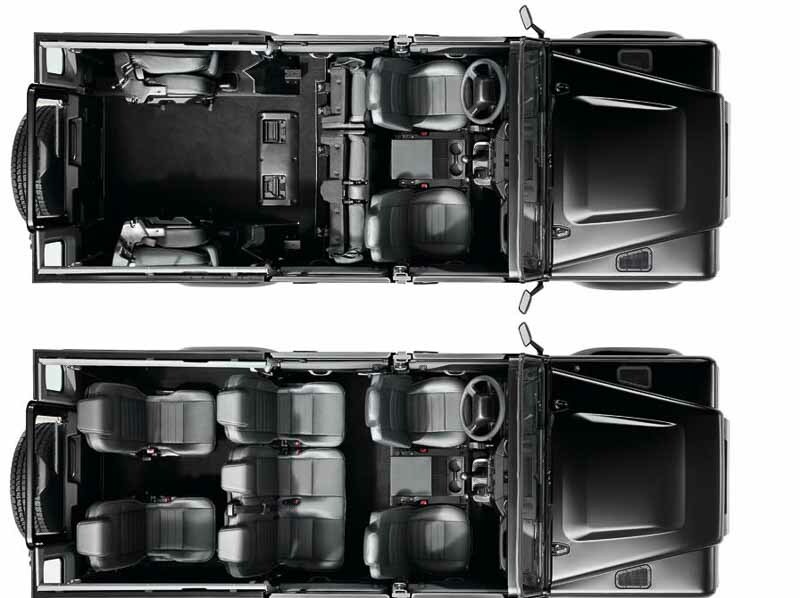 Please note that when using all 7 seats there is only space for 3 suitcases.